Lateral Navigation (LNAV) controls the aircraft’s course. 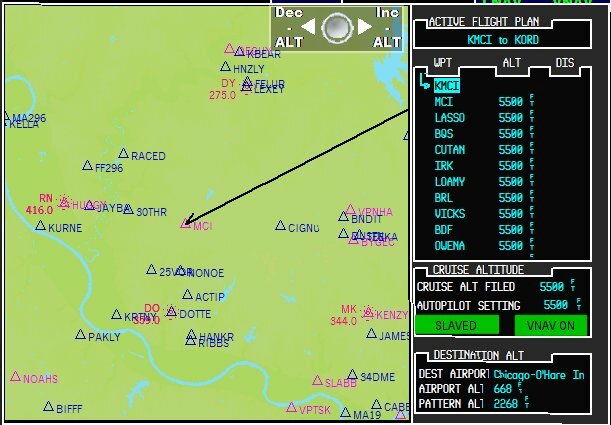 In addition to the usual GPS control interface with the autopilot, the LNAV computer keeps track of the phase of flight and the aircraft's situation relative to the flight plan. The LNAV computer interfaces with the GPS unit to control the aircraft’s course as it progresses through the flight plan. When engaged it will take control of the autopilot for you to determine whether it needs to be in HDG or NAV mode. The goal is to reach the next waypoint in the most efficient manner possible. Vertical Navigation (VNAV) controls the aircraft’s altitude. The VNAV computer interfaces with the GPS unit to control the aircraft’s altitude as it progresses through the flight plan. When engaged it will take control of the autopilot for you to determine whether it needs to climb, maintain altitude, or. The goal is to reach the altitude assigned to the next waypoint, or destination airport. All the pilot needs to do is control the throttle, and if applicable, prop and mixture controls. 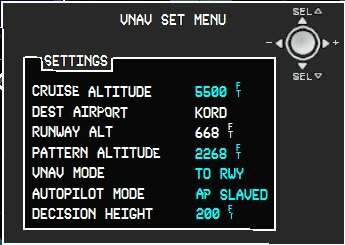 The VNAV computer will allow you to set/change the cruise altitude, altitude at each waypoint, descent and pattern altitude, and decision height over the runway. 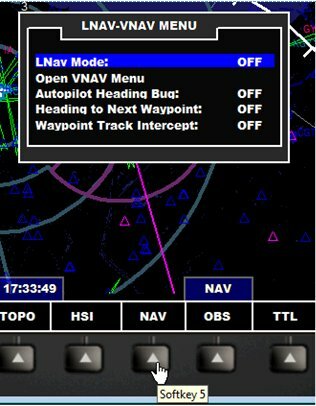 The VNAV computer can follow the flight plan through the descent and pattern, and then right down to the runway threshold. All the pilot needs to do is control the throttle.